Getting into the restaurant business is risky — 80 percent of restaurants that open fail the first 2 years. According to Entrepurner.com “Though the future looks bright for the food-service industry overall, there are no guarantees in this business. Even the most successful operators will tell you this isn't a "get rich quick" industry. 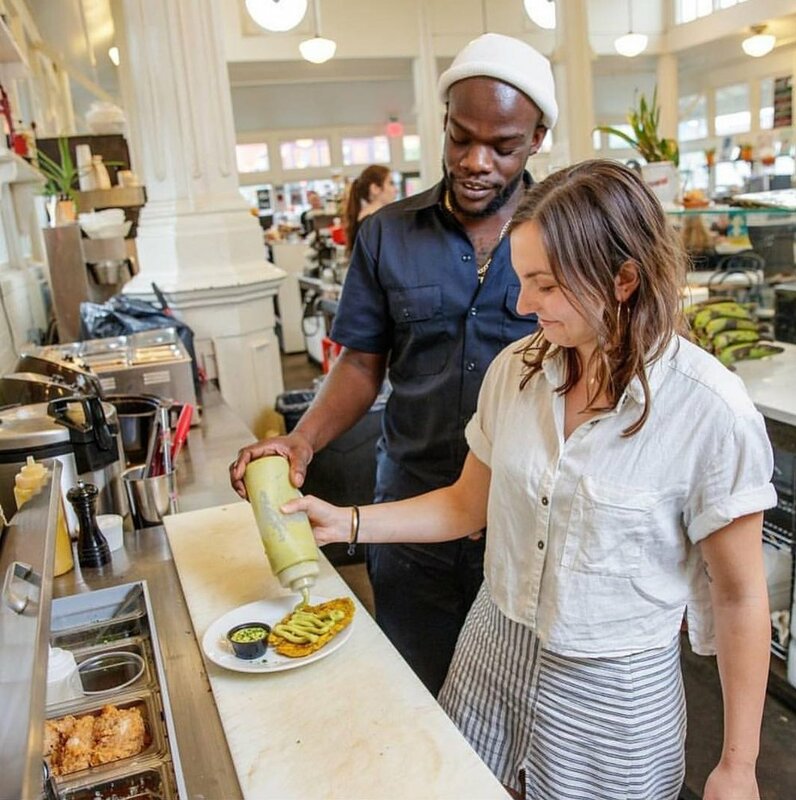 It's more like a "work hard and make a living" industry.” Although opening a restaurant has risk, it's nice to see confident Millennial's like Chef Charly Pierre take the risk and love the journey. Charly Pierre is a Haitian-American millennial navigating the maps of entrepreneurship. He realized at an early age that food played a powerful role in strengthening bonds and being creative. His first step into the culinary world was when he participated in a competition and won 2nd place. He wanted to pursue this passion deeper, and attended Southern New Hampshire University on a scholarship while earning his Bachelors degree in Restaurant Management. After taking a few positions in fine dining and holding various restaurant positions, Charly participated in the Food Network television show Chopped. In this show Chefs apply their skills to multiple "mystery baskets" which usually end up being certain ingredients us non-chefs could never dream of actually creating anything edible out of. However with tv pressure and tight deadlines Charly created masterpiece dishes the judges could not ignore. We recall watching that Chopped and noticing a familiar face battling another chef for the 1st place position. Charly soon rained victorious becoming the Food Network's Chopped competition winner on June 27, 2017. He took home the $10,000 prize with an ear-to-ear smile while sporting a Haitian bandana to represent his culture. 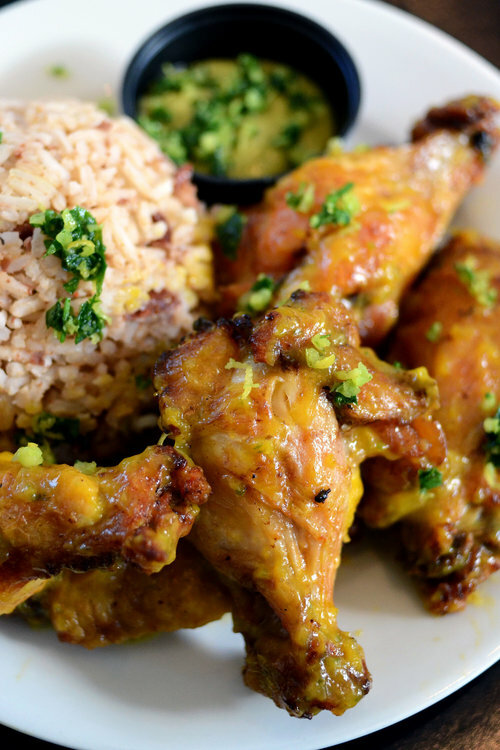 Food has always been an important part of the Haitian culture. Charly took this passion of food, moved to New Orleans, and now co-owns a restaurant called Fritai in the St. Roch Market (a venue similar to what Bostonians know as Boston Public Market). How & WHEN was Fritai created? Fritai was created by Charly, but is brainstormed and operated with his former girlfriend Eva Chereches. We found this pretty amazing because although their intimate relationship didn't work out, they still remained great friends and did not allow their personal indifferences to affect their friendship or business success. These two have been able to pursue this venture and have had their doors open for almost 2 years now! Fritai, a well known fried Haitian dish, is the restauraunts most popular dish. Charly and Eva have been able to create Haitian inspired dishes he learned to cook right in his mother's kitchen for the people in New Orleans to enjoy. After exchanging a few laughs and dropping some creole words to each other, we dived into some questions that allowed us to understand Charly, his goals, and his purpose. As a business owner, how do you encourage creative thinking within your organization? How do you advertise for fritai? What would you consider your target audience and why? What do you think it takes to run a successful business — especially in the restaurant industry? What would you consider unique about your business? Do you always see yourself owning a restaurant with your business partner Minerva? Does your restaurant help the community where it is located? If you had some advice to someone just starting out, or trying to find their path, what would it be? Focus on what your good at. I also wanted to rap for a while and became a good advertiser. But I realized I’m a really good chef and had won scholarships for it… so I should focus on being a chef. Be yourself! Being naturally you will lead you to success. Work hard and there will be a lot more success. Try new things and be adventurous, step outside the box — it’s all a mindset. What are some of your proudest moments on this journey? As fellow Cantabrigians, and Cambridge Rindge & Latin Alumni, we congratulate Chef Charly on all of his accomplishments and positive impacts thus far -- we can tell this is only the beginning! If you're ever in New Orleans, stop by the St. Roch Marketplace and grab a bite at Fritai Restaurant. You won't regret it! Check out Fritai's mouth-watering menu here!